I’m super excited — today’s our Virtual Business Forward event! It’s an event designed to help you find new ways to think about Data, AI, and business processes with Dynamics 365. 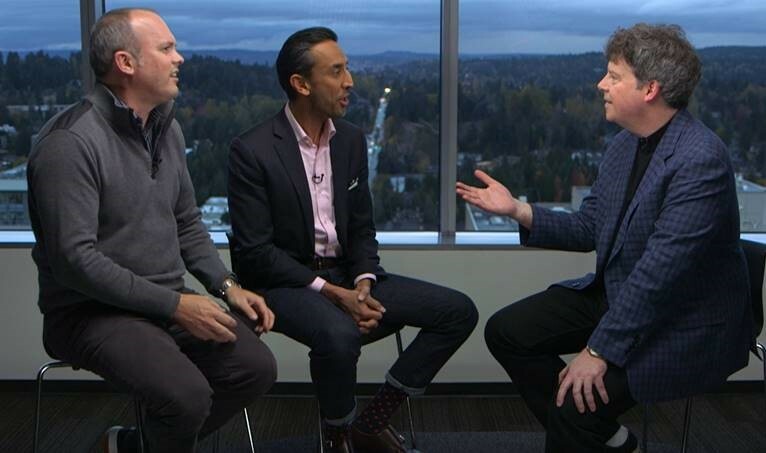 I have an awesome panel discussion with Paul Herman, VP of Product and Solutions Enablement for Sprinklr and Rishi Dave, CMO for Dun & Bradstreet. Don’t miss it! Here’s the blurb on the event: Get ready to learn new ways to think about data, artificial intelligence, and processes for you and your company in today’s digital landscape. Join Forrester Analyst Nigel Fenwick, along with customers, partners and Microsoft leaders, for an online event exploring how to capture new business opportunities through the power of digital transformation. These industry luminaries will discuss how the latest advancements from Dynamics 365 Business Applications; LinkedIn; Adobe; Dun & Bradstreet; Sprinklr; Power BI; and the Microsoft Cloud will help you change the way you do business today — so you’re ready for what’s next tomorrow.